Very rare watch from the 1930s, from Scheufele Family the family that owns Chopard now. Active watchmaker family from Birkenfeld Germany. They were maker of luxury items mainly pocket watches and verz few wrist watches. 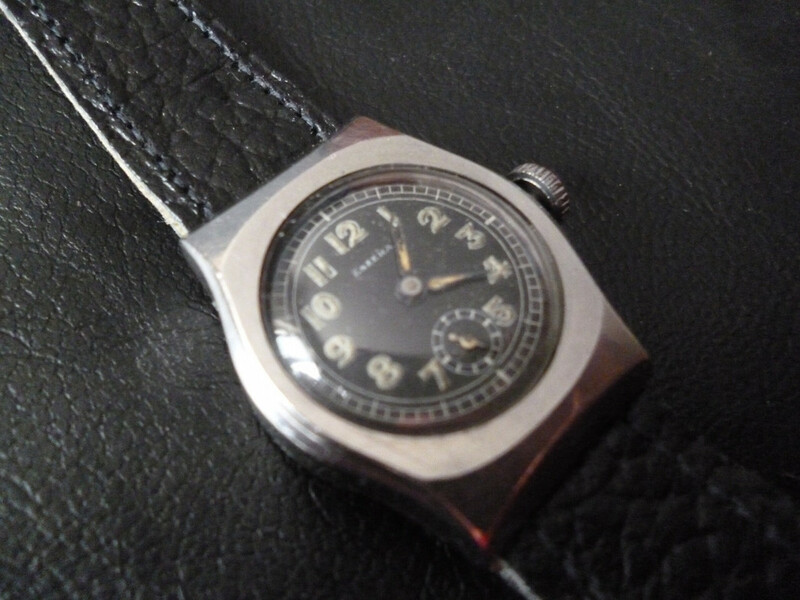 Here is a rare example of one military watch, in an all steel case. Its not large. 28mm without the crown and 37MM long. It has an interesting shaped case with fixed lugs. Its thick about 9mm. Has 4 screws on case back to hold it in. Inside marke Eszeha stainless steel. I have information from the chopard archives on the watch. I can send you more pictutures if interested.